Community Blog - The futures bright at So Organic! The futures bright at So Organic! 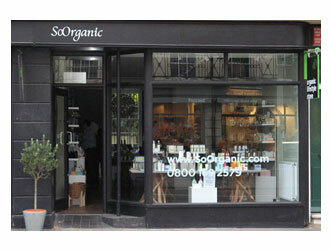 At So Organic we have had a busy 9 months. As I am sure you have noticed we have been building a new website with more customer focused features and giving you even more information on our ever growing range of products. Our regular newsletters contain fantastic offers from our suppliers and tips and ideas to help you live a more holistic lifestyle, if you have not signed up yet we really recommend it. if you want to try a new shade of lipstick or get expert advice on your skincare routine we are always delighted to help. The launch of our treatment rooms in our airy basement was a huge effort but has proved incredibly popular, finally you can get natural and organic treatments in luxurious surroundings from a pedicure using natural nail varnishes to a facial using your favourite natural products. All this and our towels and cotton wool are all organic too. Behind the scenes we have been trying hard to improve our Customer Services with a new computer system and strict targets to improve our service to you, let us know how we are doing. Finally we have been reviewing our range of products, we have been researching the latest brands to give you the very best in the ever growing organic and natural market place. Some brands have been replaced with new and improved ranges using the latest ingredients and techniques but only after extensive testing by us, we only recommend and stock the products we truly believe in and so those who make it through our stringent criteria will really perform for you. We have lots of exciting plans for the future so watch this space.